Arthur A. Levine Books, 9780545465137, 128pp. And when Shaun Tan starts drawing, the results are stunning. 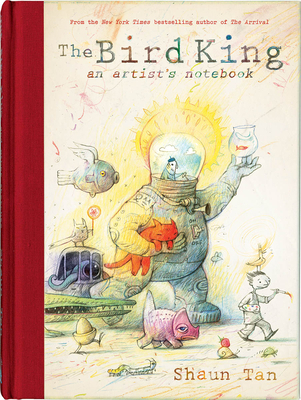 In The Bird King: An Artist's Notebook, we find a window into the creative process: the stops and starts, the ideas that never took off, and the ones that grew into something much bigger. Fans of The Arrival will recognize the quirky, surreal sensibility that is so distinctly Shaun Tan in this stunning collection, and gain insight into how his many gorgeous books were made.